Newport, Rhode Island- the only place in America where money really grew on trees, the sun’s yellow rays melted to liquid gold, flowers emitted Chanel perfumes, and naughty children were spanked with silver spoons. It was a lavish community, but only in the summers. The wealthy elite avoided the cliff-side town in the winters fearing the diamonds that fell from the sky. Not to worry, servants rapidly collected the glistening jewels before anyone in town was awake to see them working outside. They stashed them away in hidden safes behind 20-foot-tall self portraits before the family’s seasonal return. Once all the new treasures were out of site, the staff cleaned, fluffed pillows, and made sure to be out of the hallways before their employers returned to their beautiful, hotel sized homes built for two. 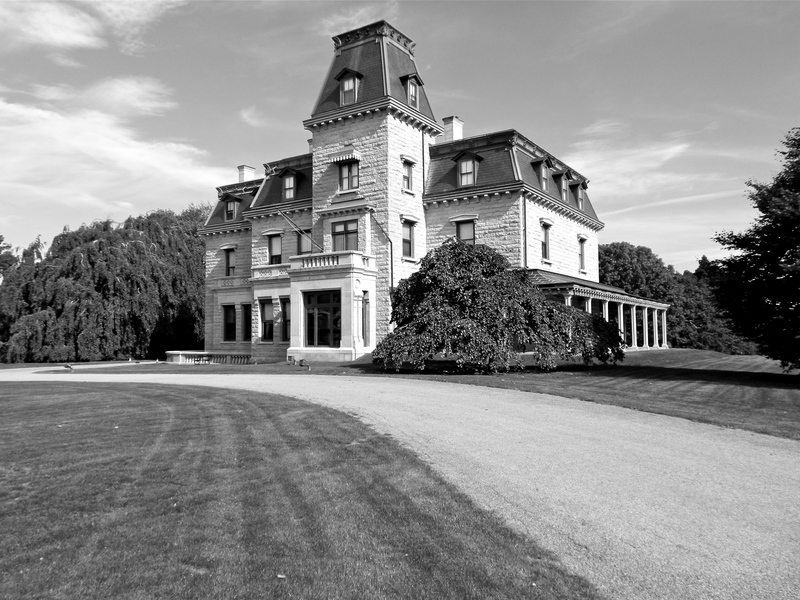 In the late 1800s, families such as the Vanderbilts and Astors ventured to the picturesque, rocky coast of Newport to begin construction on the prestigious estates that still line streets like Belvue Avenue. Serving as their summer escapes, the gilded palaces hosted countless parties, events, and gawking eyes from between the iron spindles of the bigger-than-life fences. Today, the incredible remnants of an era long gone still glisten under the sun in the meticulously preserved, golden community. 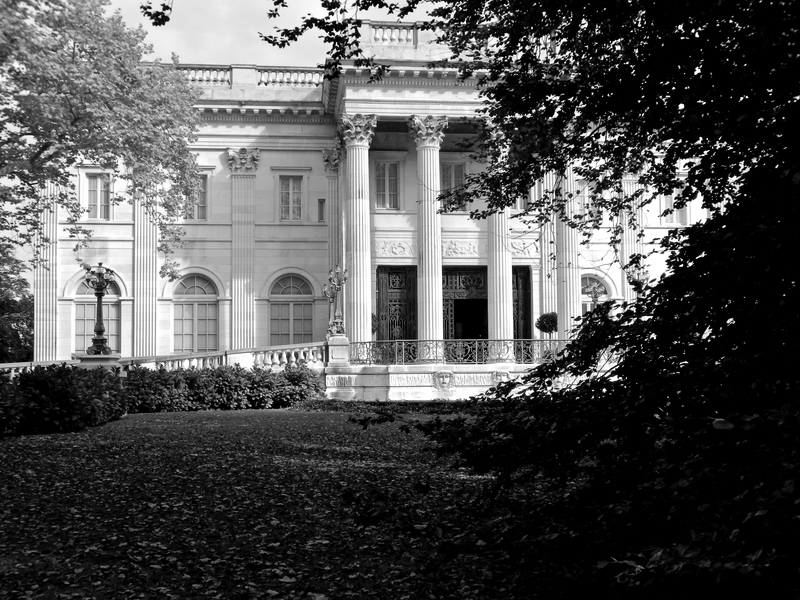 At one end sits the rich estate known as Rough Point, once belonging to Doris Dukes. To the north, the crown of Newport, The Breakers, is hugged by the Atlantic. 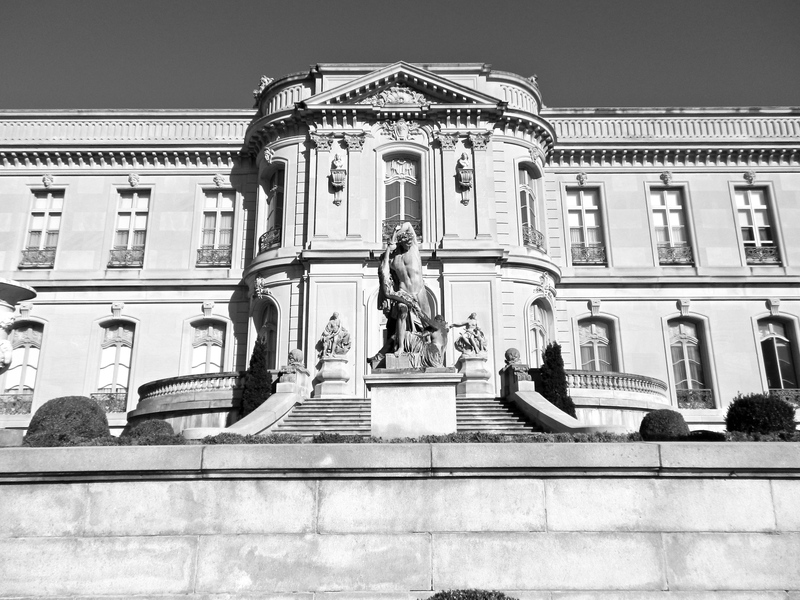 Many estates from the gilded age still stand, and thankfully are preserved for visitors to take a glimpse into a world few will ever know. 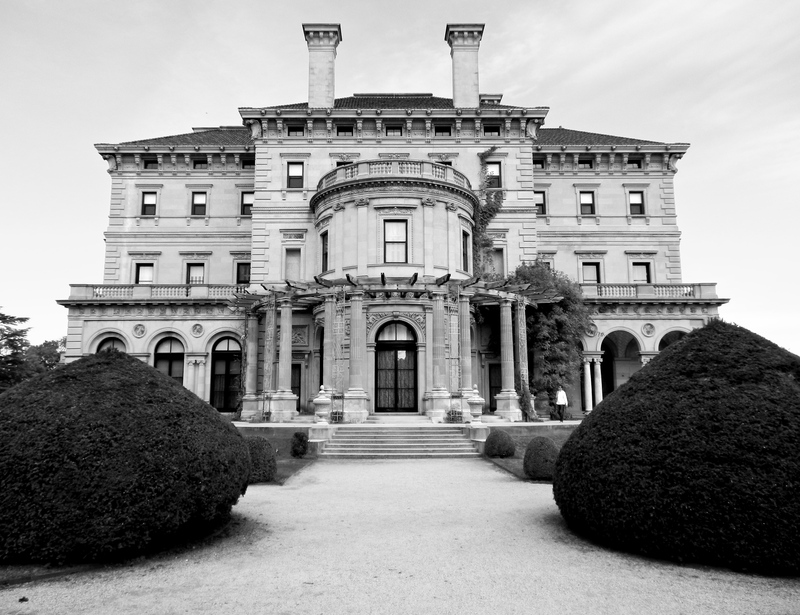 In January and February, five homes will be featured on The Gilded Butler: Chateau-Sur-Mer, The Breakers, Rosecliff, Marble House, and The Elms. 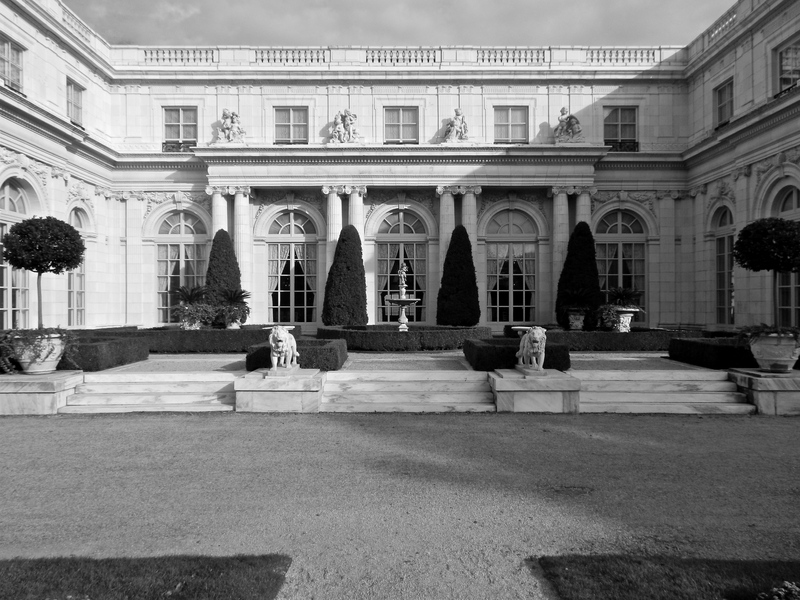 In October, I had to the opportunity to visit Newport and tour these five incredible homes. I have been in homes far larger than the ones in the Rhode Island town, but there is something that sets this community and its structures apart. The dense concentration of huge mansions, awe-inspiring detail, and glistening white-capped waves of the Atlantic Ocean for backdrops, is unrivalled in splendor. I have never visited a place and instantly wanted to become a local before that trip. Look out for the history, my personal experience, and personal photos of the previously mentioned homes through the next two months. In the spring, I hope to visit again and bring several more homes to the site. You nailed it – and especially about the dense concentration of the mansions. There is nowhere else in America quite like Newport. I did not expect to love it as much as I did. Feels like a step back in time.